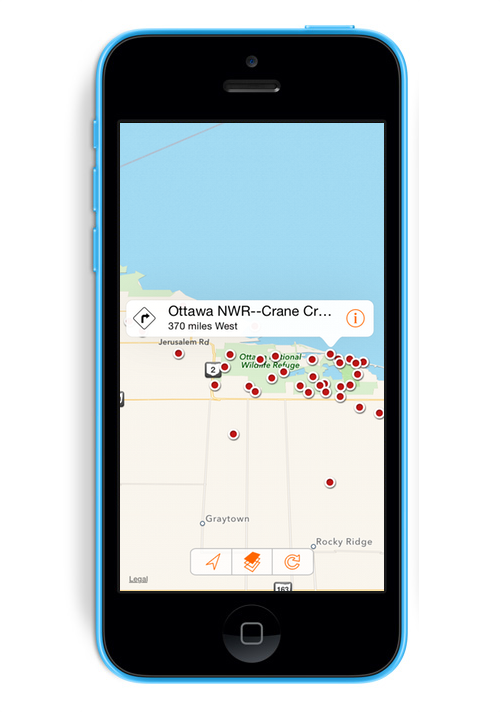 Link directly to the new BirdsEye apps to view local abundance charts of the birds found at each hotspot. 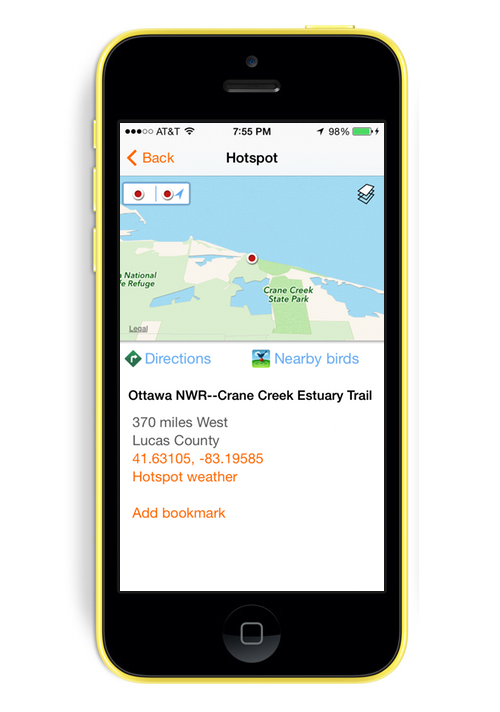 Bookmark your favorite hotspots for quick access, or for handy trip planning. 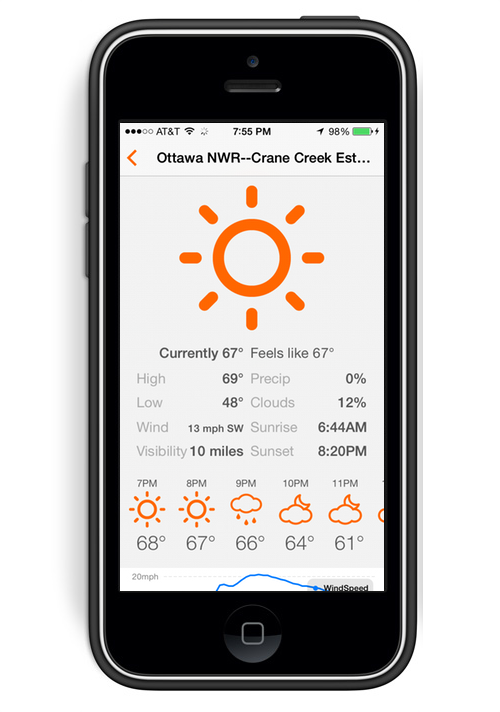 Quick swipe actions in list view to go straight to directions, weather and more.